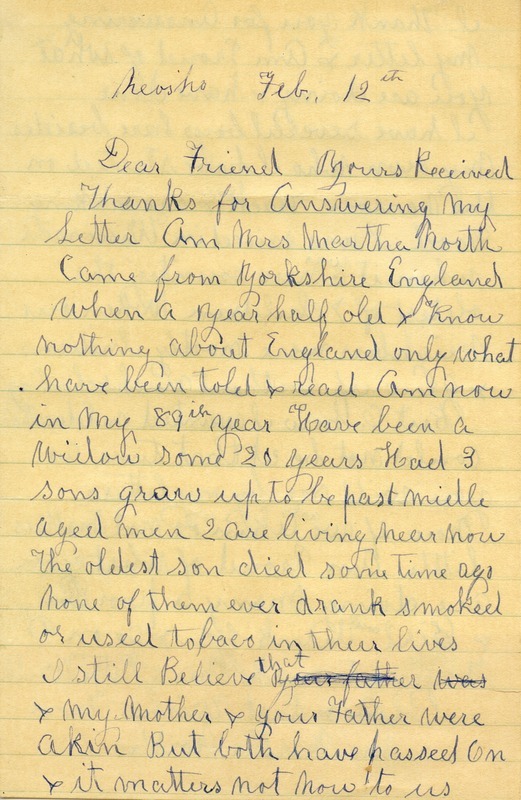 Mrs. North writes to Martha Berry because she believes her mother and Martha's father were related. She tells Martha Berry about her life and family and tells her how much she respects her work. 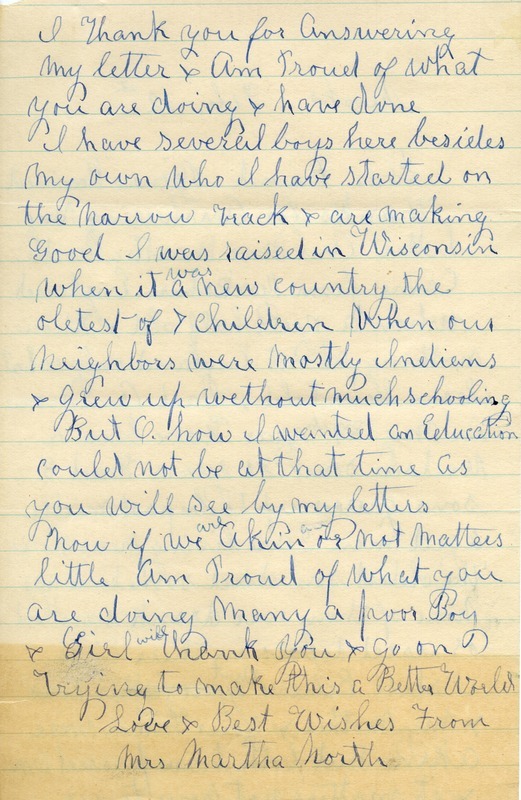 Mrs. Martha North, “Letter to Martha Berry from Martha North.” Martha Berry Digital Archive. Eds. Schlitz, Stephanie A., Meg Ratliff, Allison Moore, et al. Mount Berry: Berry College, 2012. accessed April 26, 2019, https://mbda.berry.edu/items/show/10731.